Since the beginning of Espinosa Premium Cigars in 2012, the brand has made good use of its own factory, located in Estelí, Nicaragua. With an eye for big, heavy-hitting, interesting flavors, Espinosa has carved a name for itself in the boutique, premium cigars market. 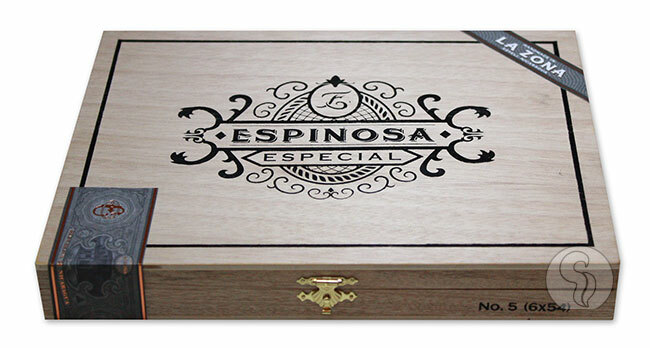 New for 2015, Espinosa has returned with a new blend - showcasing an elegant, sophisticated approach. Introducing the Espinosa Especial, a dark, Mexican-wrapped maduro, featuring unique, intricate flavors like none you’ve experienced before! Beginning with Nicaraguan tobaccos from each of Nicaragua’s four main growing regions (Esteli, Jalapa, Condega and Ometeppe), the Especial is then draped in a very special Mexican Capa Negra wrapper - giving the cigar a punch of flavor, while retaining a lovely complexity. Experience the new Espinosa Especial, the most exciting and intricate maduro cigar to be released from Espinosa Cigars to date!